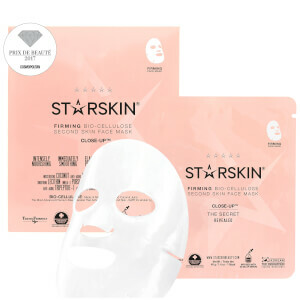 Purify the complexion with the STARSKIN SILKMUD™ Pink French Clay Purifying Liftaway Mud Face Sheet Mask; a close-fitting mask that is crafted from stretchable gauze and then saturated with a cocktail of skin-loving ingredients. 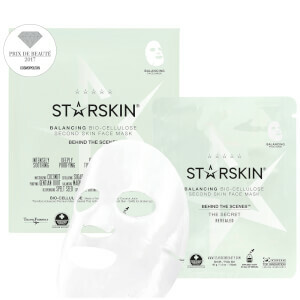 Leaving skin enviably matte, the mask is ideal for those with oily, blemished and acne-prone skin. The mess-free mud mask is infused with a potent trio of Pink French Clay, Kaolin Clay and Bentonite, which offer the enviable benefits of a mud mask with the convenience of a sheet mask. The mud soaked sheet is able to combat blemishes, blackheads and blocked pores, without stripping the complexion of essential moisture. Natural Silk Cocoon extract softens the visage, whilst Niacinamide offers smoothing and brightening action. 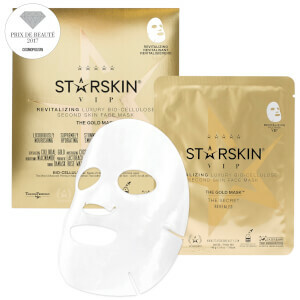 Within twenty minutes the mask will gradually harden, which causes a visible lifted effect, as well as revealing radiant skin with a shine-free, matte finish. • For best results, cleanse face first with The Master Cleanser Foam™ • Leave the mask on for 40 minutes to maximise the dramatic lifting and contouring effect! Water (Aqua), Kaolin, Butylene Glycol, Kaolin (Pink Clay), Bentonite, Polysorbate 80, Glycerin, 1,2-Hexanediol, Magnesium Aluminum Silicate, Stearic Acid, Xanthan Gum, Phenoxyethanol, Tromethamine, Fragrance (Parfum), Allantoin, Panthenol, Niacinamide, Ethylhexylglycerin, Dipotassium Glycyrrhizate, Disodium Edta, Adenosine, Ethyl Hexanediol, Silkworm Cocoon Extract, Morus Alba Leaf Extract, Hydrolyzed Collagen, Portulaca Oleracea Extract, Morus Alba Fruit Extract.